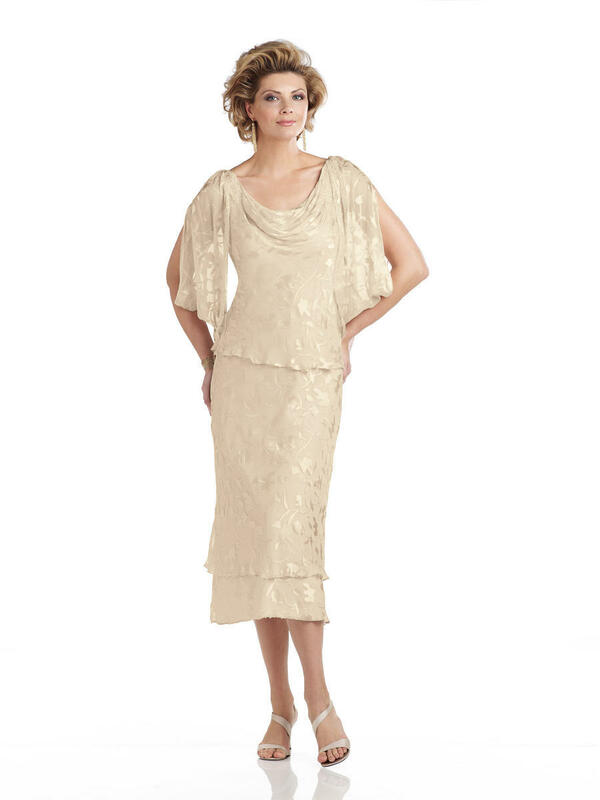 Silk burnout A-line ballerina-length dress with draped split three-quarter sleeves accented with hand-beaded appliqu� at shoulders, cowl neckline with tie-back, slightly dropped waistline and tiered skirt trimmed with hand-beading, suitable for the mother of the bride or mother of the groom. As shown in Black: Embellish by David Tutera ring style Hadley, earring style Rhonda and bracelet style Rhonda sold separately. As shown in Champagne: Embellish by David Tutera earring style Gia and bracelet style Gia sold separately.